In what seems like a rather dangerous publicity stunt, Disneyland Resort Paris have taken the initative to announce Corbin’s appearance in advance via their official 15th Anniversary Blog. Seeing the startling commotion from fans young and old when the High School Musical 2 stars appeared at London’s O2 Arena last month, they’d better be preparing for a record day at Walt Disney Studios Park. Corbin won’t simply be making a single appearance for the cameras this time either, oh no. According to the blog, he was due to spend a few hours at the resort (and no doubt the Disney Channel Television Studios which are located within Walt Disney Studios) on 15th October to publicise the premiere of High School Musical 2 in France. But, that’s just not good enough for a cool guy like Corbin. The blog announces that from 10am onwards Corbin will be exploring the park and specifically enjoying the two new attractions — Cars Quatre Roues Rallye and Crush’s Coaster — which he “has promised to try out”. Then, at 1.15pm, when the drum roll begins and the booming announcements introduce Disney Cinema Parade, you’ll be able to see Corbin as a special guest star with the entire cast of High School Musical On Tour! Finally, the sad moment arrives with the final performance of High School Musical On Tour for 2007. Yes, that’s right — the show won’t end tomorrow on 14th October 2007 as previously announced. One, final “encore” performance will take place at 2.30pm on Monday, featuring none other than Corbin Bleu himself. No doubt the audio/visual crews of Disneyland Resort Paris will be out in full force to capture this entirely unique day in the 15th Anniversary celebrations, and we’ll try to bring you everything they capture as soon as possible. 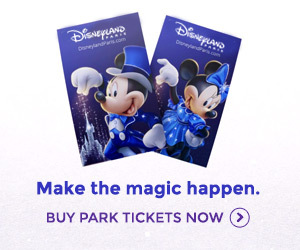 If you’re visiting the park on Monday, or have taken the wild decision to skip work, cancel all plans and head over to Disneyland Resort Paris just from this announcement — expect a blockbuster day.